KD's Furniture is located off of Hwy.18 in Brandon. We are excited about opening in our new showroom this year located inside the beautiful, 103 year old white house previously owned & constructed by the A.P May family. 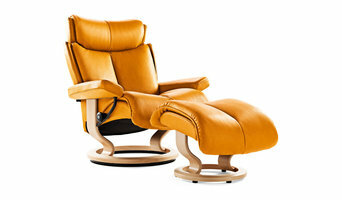 The Unwind Company delivers the world's most relaxing, back-healthy furniture. Enjoy fast & free delivery nationwide and parts of Canada on almost every brand we carry. 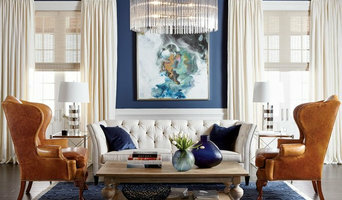 Shop Ethan Allen's furniture store today in Ridgeland, MS at 1000 Highland Colony Pwy, Ridgeland, MS 39157. We are located in the Renaissance at Colony Park off exit 105C (South) or 105B (North) on I-55. We offer a broad range of furniture and accessories, including quality living room furniture, dining room furniture, bedroom furniture and home décor. Create the look you'll love from classic to contemporary with free interior design help from our design pros. Specializing in gently used and vintage finds, you'll discover a unique blend of functional and statement pieces. From Contemporary to Mid Century Modern we always have something new and interesting ! Luxury outdoor furniture, to the trade. Serving Arkansas, Louisiana, Mississippi. Madison Fireplace and Patio is a small business that specializes in casual furniture, outdoor/indoor decor, fireplaces, and grills, including the Big Green Egg. St. Martin's Gallery opened its doors in Jackson, Mississippi, in 1997. For over 16 years our mission has remained the same: to provide our customers with personally selected, fine 18th & 19th century English, French and Continental antiques. We are continually sourcing antiques through our broad base of European contacts and travels. 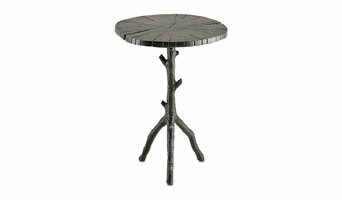 With nearly 7,000 square feet, we also offer an extensive line of reproduction furniture crafted in England and France. Upholstery was recently added and we now carry traditional sofas and chairs in a wide range of fabrics. To further compliment your interior, we have a great selection of lamps and accessories, not to mention the largest collection of antique majolica in the South. One of the greatest pleasures of this business is getting to know you, our customer. We appreciate your loyalty, trust and continued support. We look forward to welcoming new customers and sharing our knowledge and passion for antiques. Feel free to call or email us about any questions you may have about our inventory. Deep South Wood specializes in Hardwood Counter Tops, Islands and Custom Furniture. We design and build custom pieces for our clients that accent their home and their own personal style. We are a furniture company in Jackson, Mississippi that offers instant in-store no credit check approval. "Buy Here, Pay Here"
Lewis Furniture is located at 811 Hwy. 80 E. in Clinton, Mississippi. Owned and operated by Steve and Susan Lewis of Raymond, we opened for business on November 27th, 2009. Our mission at Lewis Furniture is to marry style, quality, and price on all goods in our store to give you the best furniture shopping experience available in today's market. We are Christians and attend church at First Pentecostal Church of Jackson on I-55 S in Byram. We have three children. 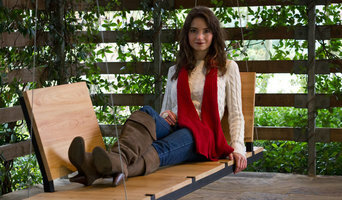 Lauren, 18, is a freshman at Millsaps and is pursuing a degree in Applied Mathematics. Kristina, 13, and Sydney Grace, 6, attend school at Central Hinds Academy in Raymond and make regular appearances in the store. Steve has been in the furniture industry for 15 years in the Jackson area and, at the present time, works six days a week at the store serving our customers. Susan buys all the accessories for the store and is the resident decorator. We hope you will come shop with us and become customers so that we can grow together as a cornerstone business in the city of Clinton. 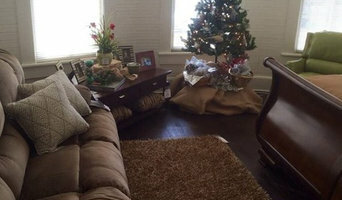 Acadian Interiors was established in 2010 as a retailer of many building materials. Our diverse product lines include: decorative cabinet and bath hardware; decorative carved wood products such as corbels, bar brackets, island legs, onlays, and columns; functional cabinet hardware such as cabinet door hinges, full extension drawer slides, and fasteners; building materials such as plywood, crown moulding, and decorative mouldings. We believe in quality products, competitive pricing, and outstanding customer service. We are proud to have a friendly and knowledgeable staff who are dedicated to helping you every step of the way. For over two generations, Tinnin Imports has furnished oriental rugs and antiques for enjoyment in fine Southern homes. Charles Tinnin travels to Europe and the Orient regularly where he hand selects and inspects each rug and antique for his gallery to assure you of excellent quality and outstanding beauty. And, of course, our direct import method guarantees you the best value. Charles is a former President of the Oriental Rug Retailers of America and has trained with nationally known rug scholars at New York University where he completed the NYU rug appraisal certification with the highest rank. Well known for their design expertise, Tinnin Imports has won three first place awards at the National Oriental Rug Show. Tinnin Imports also offers services such as hand washing to delicately but thoroughly clean your rug. For Andy Hilton, a Jackson, Mississippi-based craftsman and designer, swings have always held a special appeal. Raised in the American South, where swings are an iconic feature on every porch, he recognized a void in modern swing design and set out to fill it with something wonderful. The result is SwingLab. An updated look isn’t the only thing that sets SwingLab apart from the classic porch swing, hanging swing beds, and other modern seating ideas. The underlying genius of SwingLab is a modular design that gives you the flexibility (and fun) of putting the backrests wherever you want. Today, a swing. Tomorrow, a lounger. The next day, who knows? It’s up to you. Som tur är så finns det en drös av butiker i Jackson att besöka innan man bestämmer sig för vilka inköp som ska genomföras. Vilka butiker man sen väljer beror helt på vad man är ute efter. Är det designmöbler eller specifika inredningsdetaljer man letar efter bör man efterforska vilka butiker som erbjuder det man behöver. Det finns nämligen många olika butiker, med många olika inriktningar. Men trots att det finns fantastiska möbler och inredning att hitta i butik kan man emellanåt behöva specialtillverkade möbler. Har man designen klar för sig så kan man vända sig direkt till en möbelsnickare och behöver man även hjälp med möbeldesign så finns det även möbelföretag i Jackson som hjälper till med detta. En möbeltillverkare kan se till att du får precis den möbeln du är ute efter, både när det kommer till design och funktion. Dessutom kan du passa på att få något helt unikt till ditt hem, något som är svårt att uppnå när du besöker en möbelkedja eller möbelgrossist. Vad som anses dyrt är både en fråga om vad det faktiska priset är men även vad man får för sina pengar. Möbelgrossister har möjligheten att få ner priset på sin möbeltillverkning på grund av en större produktion, däremot är hemaccessoarer och möbler från den här typen av butik inte speciellt unika. Genom att vända sig till mindre möbelproducenter och små interiörbutiker i Jackson, MS har du möjlighet att sätta en mer personlig prägel på ditt hem. Och visst kostar det ofta en aning mer att specialbeställa en måttanpassad soffa till skillnad från en från en inredningskedja. Genom att handla det mesta från inredningskedjor och sedan leta unika möbler och inspirerande inredning online får man till ett snyggt och prisvärt hem, så att blanda möbler från olika tillverkare kan vara ett riktigt lyckat koncept!